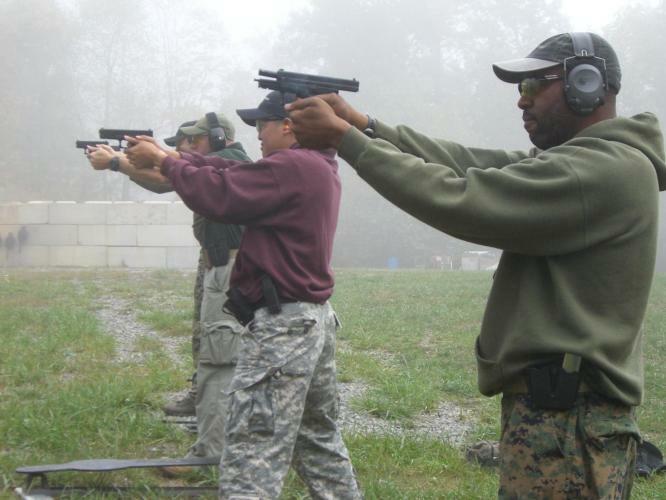 Advanced Defensive Pistol takes the student to more difficult and stressful levels in their training. It uses all the elements of BDP and IDP but requires the student to more diligently apply the concepts learned in those courses. Included are dynamic scenarios requiring quicker decision making and more stressful physical exertion. An example would be moving and shooting while attempting to save an innocent person. Situational Awareness and the OODA loop are stressed in this advanced training module.